It seems these days, everything wants to have some form of fitness to it. And sure, things like step counters are easy to integrate (or so it seems to me). Many times, however, you’re going to be getting yourself into some sort of walled garden, when it comes to syncing that data off of the device. 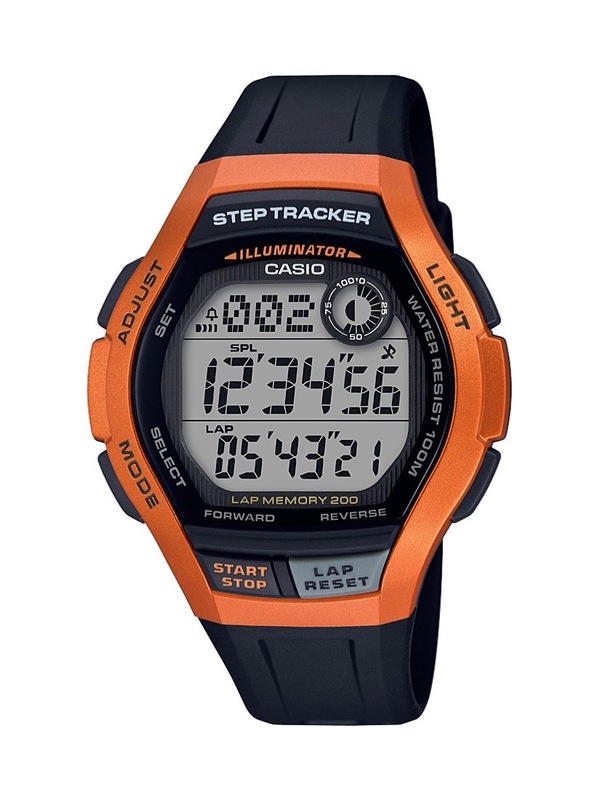 Then you have the approach that Casio has taken with their just-announced step trackers. Rather than try to build in Bluetooth and then force you into yet another service to sync data to, Casio, with the WS200H and LWS200H watches, have taken a fairly standard (and robust) feature set for their digital watches, and included a step tracker. This may not be for those looking to do some serious training, but that’s not the target audience here, I don’t think. These new Casio Step Trackers are more for those who just want to keep an eye on their daily activity, and may otherwise have clipped a pedometer on to their belt. Sort of like how companies used to do (in the days prior to Fitbits and the like) to record step counts and challenge teams, etc. This is an unobtrusive sort of addition to the watch, and frankly, is something you could easily ignore if you wanted to. This is because the watches – both the WS200H and the LWS200H – have quite a complement of functionality. The full list is down in the block below, but this is a watch that will offer just about anything you may want in your day to day, or even in the outdoors, short of anything of the A-B-C (altimeter-barometer-compass) variety, or something that more-connected watches may offer. And, with a list price of $39.95 coming along on these watches, you understand why the connectivity wasn’t part of the mix. The best thing about it: It’s a useful complication added to an already thorough watch without jacking up the price. 200 lap memory to keep pace.